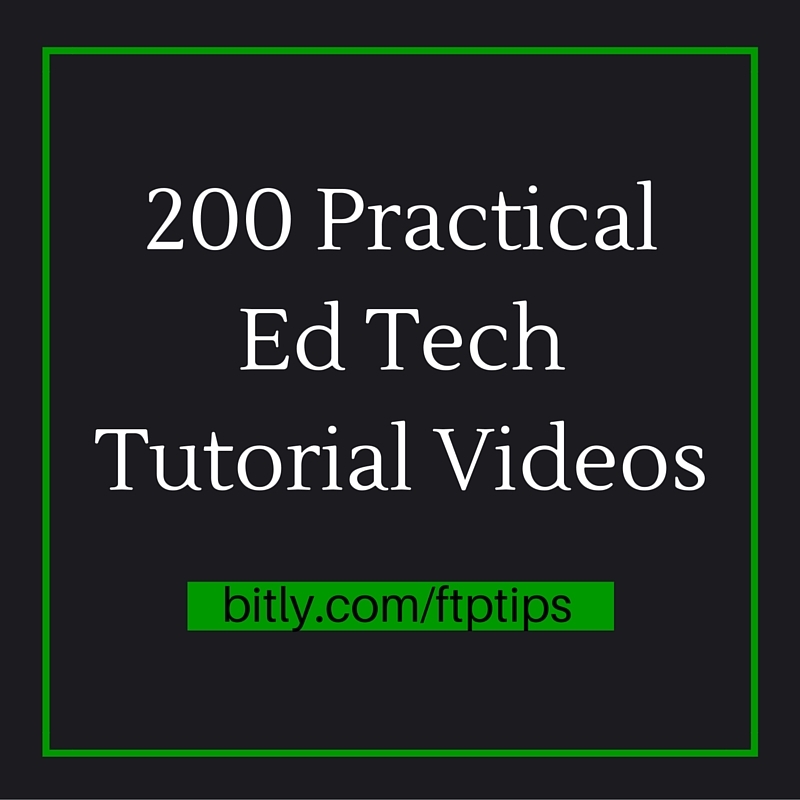 Over the last fourteen months I've steadily created screencast videos for my Practical Ed Tech Tips playlist. That playlist now contains more than 200 tutorial videos. In the playlist you will find videos about tools for flipping your classroom, videos on managing workflow, social media tips, search strategies, and media production. The playlist also contains videos about tools like Remind, Duolingo, ClassDojo, Classtools, Photos for Class, and many other popular web services for teachers and students. The entire playlist is embedded below. 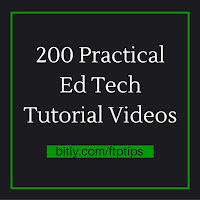 You can subscribe to my YouTube channel to be notified whenever I publish a new Practical Ed Tech tutorial video.